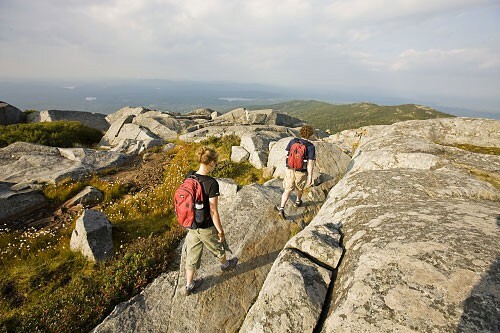 Networking in Nature is going to new heights with its 1st annual Mount Monadnock Day Hike in Jaffrey, NH. Monadnock is just over two hours away in beautiful southern New Hampshire. It has an elevation of 3,165’ and amazing 360 degree views from the summit! We will be leaving around 8 a.m. on Saturday morning so that we can start before the crowds set in as it is a very popular hike. The hike should take anywhere from 3-4 hours and we will stay together as a group to make sure less experienced hikers are supported. This is a moderate to hard hike that requires a decent fitness level but well worth the effort. (Please plan on bringing a small back pack with 2 liters of water and a snack/light lunch for the summit. Hiking boots are not necessary but highly recommended. It’s also important to dress in layers as the summit can be windy and cooler and apply sunscreen and bug spray.) Please, no dogs allowed. Please contact Betsy Reed at Reed Insurance Agency, LLC 1-833-733-3582 with questions as she and her husband Scott Reed at Reed Financial Planning services are coordinating the hike.